As with visualization, the authoring environment of a BIM platform isn’t necessarily the most effi cient one on which to perform analysis. Although you can create some rendering and animations within Revit, a host of other applications are specifi cally designed to capitalize on a computer’s RAM and processing power to minimize the time it takes to create such media. 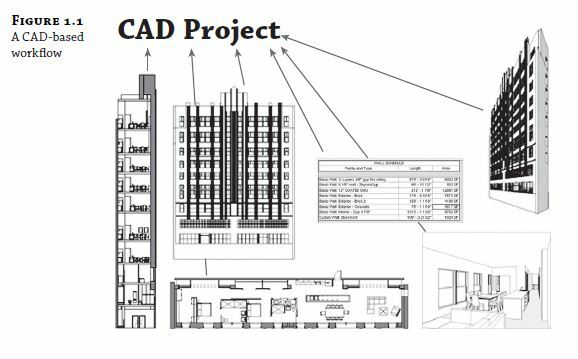 Analysis is much the same way—although some basic analysis is possible using Revit, other applications are much more robust and can create more accurate results. The real value in BIM is the interoperability of model geometry and metadata between applications. 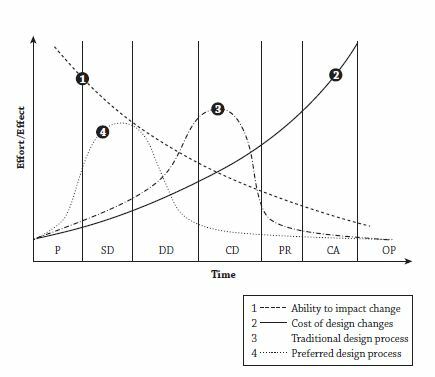 Consider energy modeling as an example. In Figure 1.9, we’re comparing three energy-modeling applications:A, B, and C. In the fi gure, the dark gray bar refl ects the time it takes to either import model geometry into the analysis package or redraw the design with the analysis package. 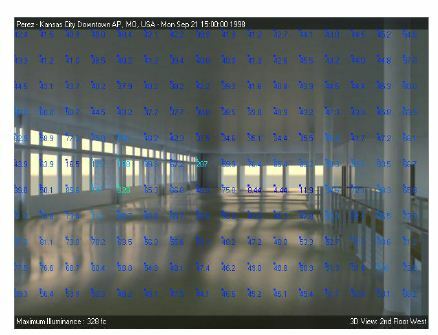 The light gray bar refl ects the amount of time needed to add data not within Revit, such as loads, zoning, and so on. The white bar represents the time it takes to perform the analysis once all the information is in place. required time to coordinate and upkeep the design and its iterations between the two models. analysis package, saving nearly 50 percent of the time needed to create and run the full analysis. analysis in half the time. 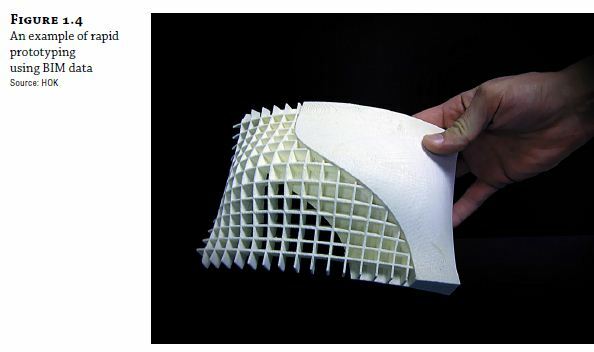 trending building use, you can begin to predict usage patterns and help anticipate future uses.